How should you grow your organization? Leading international news channel FRANCE 24 interviewed Laurence Capron on September 24, 2012. It’s one of the most challenging questions an executive team faces — and the wrong answer can break your firm. The problem is, most firms’ growth strategies emphasize just one type of growth — some focus on organic growth (BUILD), others on alliances (BORROW), and some on M&As (BUY). When these strategies falter, the common response is simply to try harder — but firms falling into this “implementation trap” usually end up losing out to a competitor whose approach is more inclusive. So where do you start? By asking the right questions, argue INSEAD’s Laurence Capron and co-author Will Mitchell of Duke University’s Fuqua School of Business and the Rotman School of Management at the University of Toronto. Drawing on decades of research and teaching, Capron and Mitchell come up with a helpful framework, The Resource Pathways Framework, reflecting practices of a variety of successful global organizations, to determine which path is best for yours. • BUILD: Are your existing internal resources relevant for developing internally the new resources that you have targeted for growth? • BORROW: Could you obtain the targeted resources via an effective relationship with a resource partner through licensing or alliances? • BUY: Do you need broad and deep relationships with your resource provider and take majority control? Written for large multinationals and emerging firms alike, Build, Borrow, or Buy will help solve a perennial question and will guide you through change while priming your organization for optimal growth. 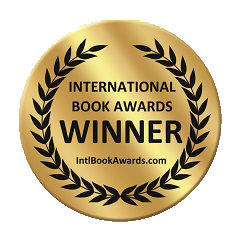 2013 International Book Awards - Award Winner in the “Business: Entrepreneurship and Small Business” Category. Should You Build, Borrow or Buy? Interview with Will Mitchell for Forbes India.